There have been studies on the use of bright light therapy to improve sleep disturbances linked by combat-related post-traumatic stress disorder (PTSD).¬† Results are pointing to light therapy significantly improving sleep disturbances related to PTSD as well as moderate improvement in symptoms and depression associated with PTSD. 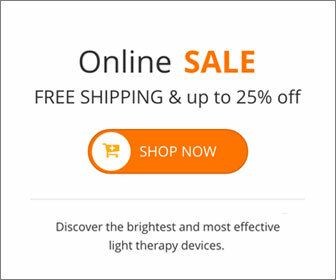 A lot of people who suffer from depression have problems with keeping a regular sleep cycle.¬† Those that use a light therapy box to regulate their sleep patterns, usually notice their symptoms for depression decrease.¬† Light therapy is an easy treatment that can be self-administered, and has few side effects. This entry was posted on Friday, May 28th, 2010 at 12:03 pm	and is filed under Light Therapy. You can follow any responses to this entry through the RSS 2.0 feed.